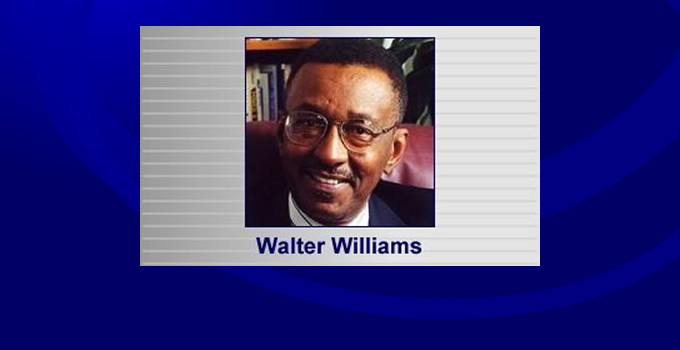 Thank you Dr. Williams, for shining the light on the snake hiding in the grass. Half of white women vote Republican because they are married to REAL White MEN, not those pathetic puerile girly boy excuses the liberal single moms, and unmarried Hollywood actors produce. You know, the ones who can actually get through a whole day without taking mind manipulating male virility controlling or castrating drugs, or mind manipulating media indoctrination that results in the same thing. The light’s been shining for years, on the left’s demonizing of white males.. Imo its just gotten worse, not better. Want to see what “radicalized, old white men” can do? Keep pushing. No You have to stop Demonizing white men who created this land of Liberty, and realize the biggest terror in this country for Liberals of any stripe are white males who do not mind sharing from their abundance as no better friend, but when socially get fleeced to the point we do NOT get our fair share of what we sweated and bled to build and create, becomes morphed in abuse by you redistributing liberals into no greater fiend, as your greatest enemy. If trying to do something about us means resorting to violence or inhibiting our freedom of thought and free speech, even the seculars among you will soon believe in God, because WE THE PEOPLE will introduce you to hell. Just ask freedom depriving King George or Jefferson Davis how things worked out for them. This is the sort of nonsense that led Clinton, and then Obama, to weaponize govt agencies against conservatives. I’d love to have the power to give these cretins JUST want they want. Make a mirror earth, that HAS NO white men, or women on it. JUST blacks, latinos and mudslimes. While this one just gets rid of socialist/commucrat liberals and mudslimes..
AND Come back in 20 years, to see just how BETTER our earth would be than theirs!